Posted on 10 January, 2018 by Dana Hanson Posted in Christmas, God Time Devotions	. 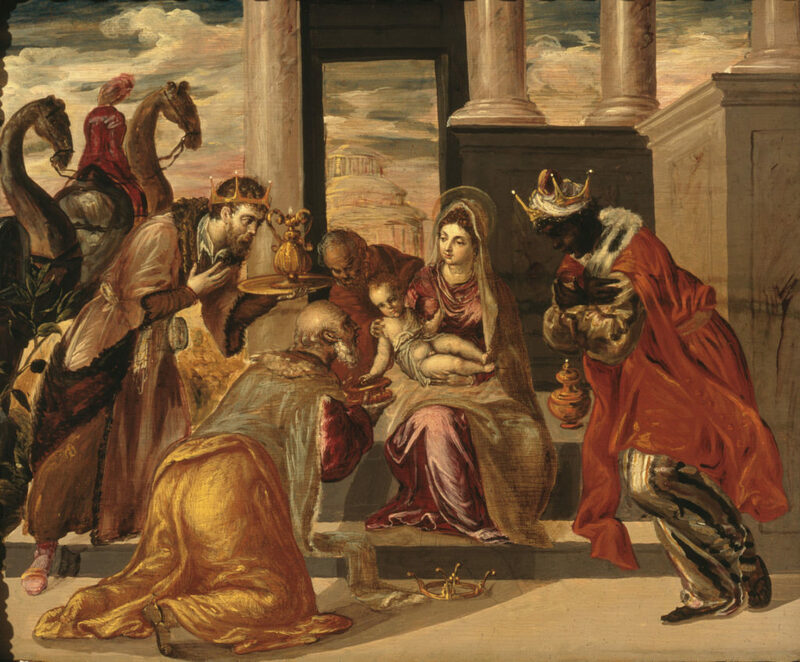 Why are the magi called kings? The magi do bring gifts. We are told there are three gifts. Actually the reason we say there are three magi is because there are three gifts. The Bible doesn’t say how many guys there are. Eastern Christian tradition has as many as 12 magi. The Western Church, three. So they give gifts of gold, frankincense, and myrrh. These aren’t very practical gifts for a baby shower. Maybe this is why men are not usually invited to baby showers. Ahh, but these gifts are all very expensive. Which makes for some very interesting speculation. We assume at the time of the birth of Jesus, Mary and Jospeh are not well off. They didn’t have the means to reserve housing before they traveled to Jerusalem for the census, for instance. Also, when they went to the Temple and made a sacrifice for their new baby boy after he was born, they gave two doves, a poor person’s sacrifice. But, after that, they don’t appear poor again. What happened? Here is what I think happened. I think the three Magi happened! Mary and Joseph are able to use their gifts from the magi to fund their escape to Egypt, and they would certainly have enough left over to finance Joseph starting a construction business, which is what “carpenter” really means in the Bible language. “Builder.” The holy family is doing well when they finally get back to Nazareth and start this construction firm. So, there he goes again! It appears to me that God works out all these details behind the scenes to make sure Jesus is protected and he is cared for. Did you ever think about what Joseph and Mary ever did with the gifts? Who has given you “gifts” that have helped you in life?